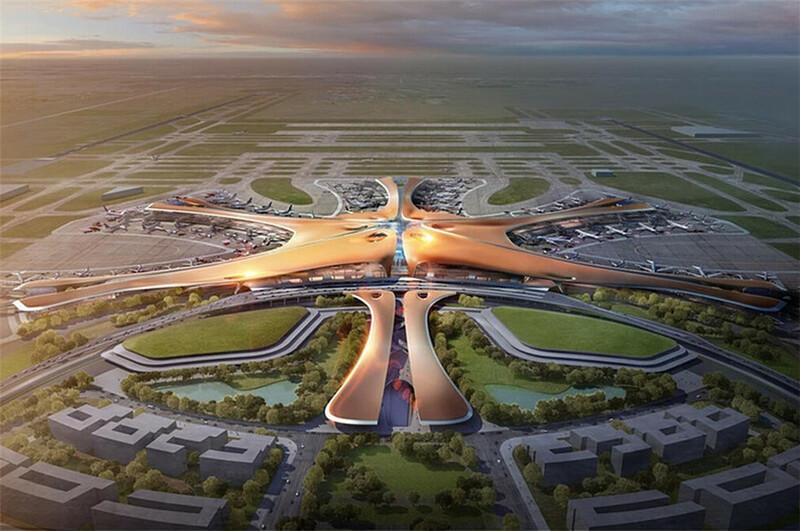 Beijing Daxing International Airport, an 80 billion yuan ($11.6 billion) construction project that should improve international communication and boost the local economy, is expected to open by Sept 30, a senior official announced on Thursday. Eighty percent of the interior construction has been completed and all of the external construction has been finished, according to the new Beijing airport's office. The water supply pipeline network and transformer substations for electricity are ready. The natural gas pipeline is being built and will soon be put into use, said Cui Xiaohao, deputy head of the Beijing Commission of Development and Reform and deputy director of the airport office. "The new airport will help the capital to serve international travelers better when it opens," he said. "Given the strong regional transportation network between Beijing, Tianjin and Hebei, one can reach Beijing's downtown center, Beijing's (governmental) sub center in Tongzhou district and Xiongan New Area within half an hour and go to nearby cities including Tianjin, Shijiazhuang, Tangshan and Baoding within an hour after arriving at the airport." "The airport will provide transportation convenience for the integrated development of Beijing, Tianjin and Hebei province," he said. The new airport, which is expected to become North China's air travel hub, is situated on the border of Beijing and Langfang, Hebei province. It is 46 kilometers from Tian'anmen Square, 26 km from downtown Langfang, 55 km from the Xiongan New Area and 67 km from Beijing Capital International Airport. Its construction adopted green and energy-saving concepts. Zhang Ru, a representative of the airport construction headquarters, said the terminal's design incorporates natural light as much as possible, and many other technological innovations were used in building the integrated transportation network around the airport. "The project includes ... (seven) integrated transportation networks, which will combine highway, intercity rail, high-speed rail and subways, with the airport at the center," she said. Passengers traveling through Beijing Capital International Airport exceeded 100 million in 2018, according to the General Administration of Civil Aviation, which is close to its limit. The administration predicted that passenger numbers through the capital will reach 150 million by 2025. The new airport-with four runways and a 700,000 square meter terminal-will help to meet the demand and improve the global flight network. It is expected to be the world's largest. The airport is designed to handle 72 million passengers, 20 million metric tons of cargo and mail, and 620,000 takeoffs and landings annually by 2025. There are long-term plans to expand the passenger number to 100 million annually.